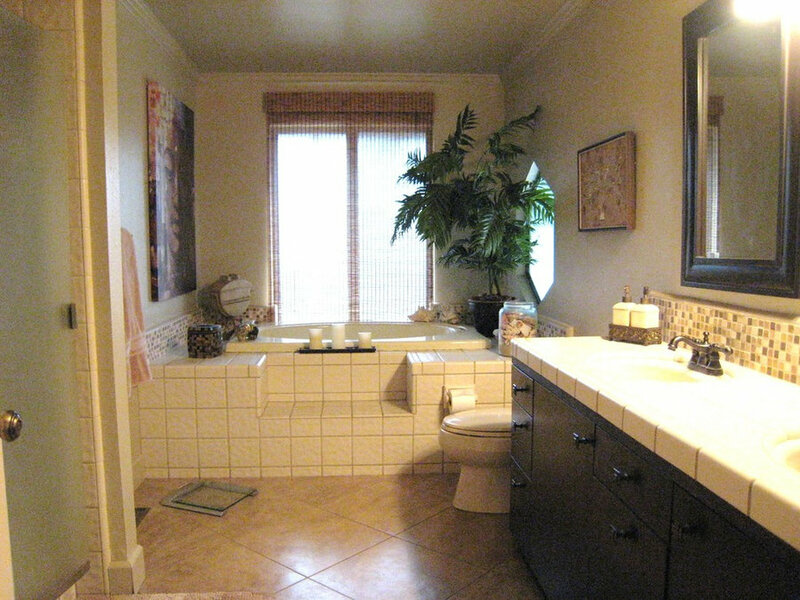 Bathroom remodeling on a budget. 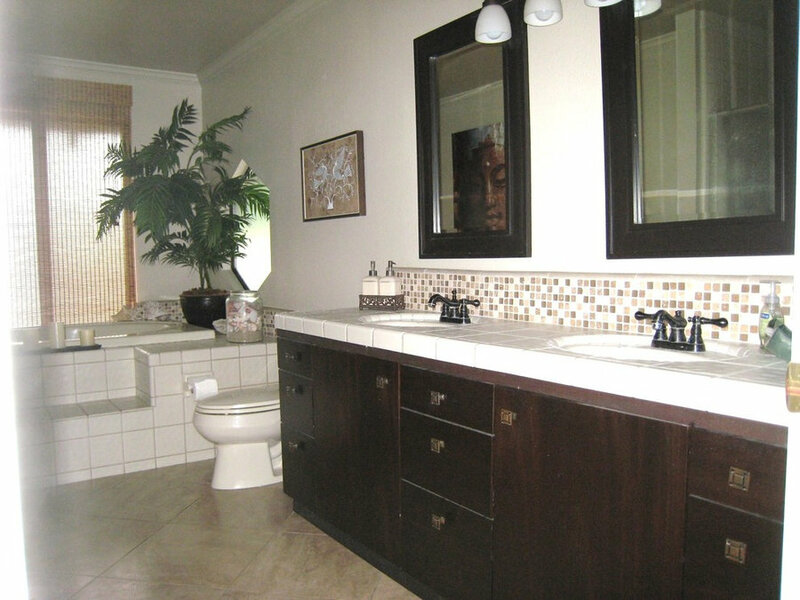 The vanity was refaced with Mahogany wood, flat panel door and drawers with espresso stained finish. 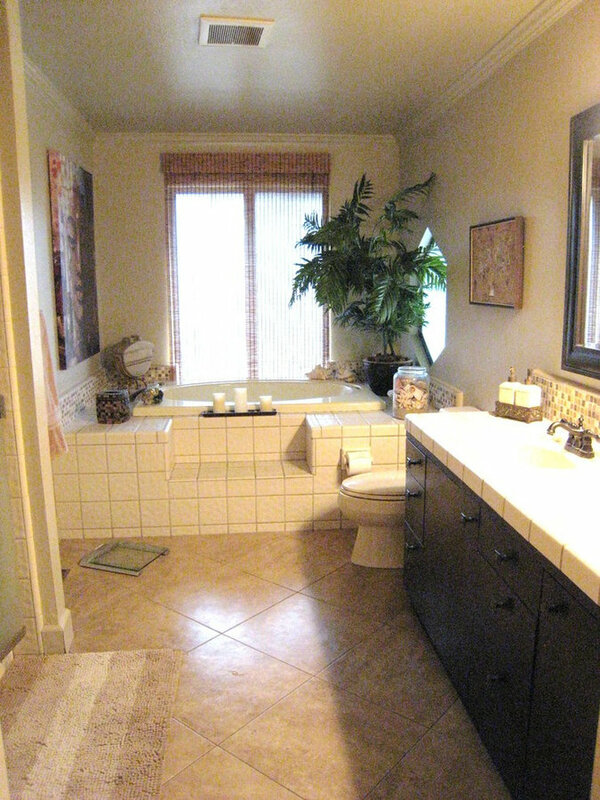 Stone tile backsplash around vanity and sunken tub, and porcelain tiles for flooring created an updated bathroom.